Airbus v Boeing – advertising. In an unexpected move last week the US Justice Department filed a lawsuit to block the merger of American Airlines and US Airways, saying the deal would hurt consumers by leading to higher fares. In recent times such moves have gone through without problems resulting in much stronger airlines. "I think this is another governmental mistake", former American Airlines' Chief Executive Robert Crandall told Reuters news agency. By allowing mergers between United Airlines and Continental, and Delta Air Lines and Northwest, the government "made a third large merger inevitable", he said. 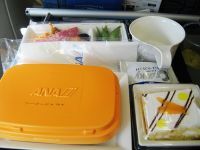 Japanese airline ANA has launched an online vote on its Facebook page for August, which will allow the public to choose their favourite Economy Class in-flight menu. 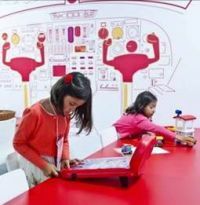 It is an interesting innovation which could be copied by other airlines now that, particularly in long haul, the more ambitious carriers do offer a larger choice of meals at the back of the aircraft. Currently up for sale by owner Air France, CityJet is to drop its four times daily London City (LCY) to Edinburgh service losing a battle with British Airways who competed on the route with eight return flights. Every year Iberia attends to the needs of 800.000 unaccompanied minors between the ages of five and 17 years of age. The service is provided on point-to-point and connecting flights on all Iberia Group airlines (Iberia, Iberia Express, and Iberia Regional/Air Nostrum). 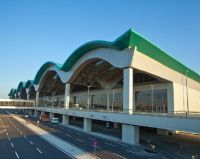 The airline points out that the facility is free but parents and guardians should inform either the airline or travel agent well before the date of travel. Don’t just turn up at the airport unannounced and expect the same degree of service. The threatened baggage handlers' strike at Stansted next weekend was called off today after successful negotiations. That arch exponent of ‘all publicity is good publicity’ Michael O’Leary must be rubbing his hands together with the media coverage gained by Ryanair due to air traffic problems with flights into Spain. The UK’s Channel 4 TV programme would have gained record viewing figures from its programme on Monday 12 August but O’Leary is the real winner. Flight International has published its World Airline Survey 2013. This compilation is in conjunction with Ascend Online, both part of Reed Business Aviation. What is evident is that the Airbus A320 (5,171 in service) series is catching up with the many variants of the Boeing 737 (5,436) and may overtake that aircraft in the next 12 months as the Dash 200 and offspring are consigned to scrap. All reviews are subjective, some more than others. Which, the long established UK consumer publication, has published its “Best & Worst" airport report with Newcastle (4.3m passengers in 2012) deemed its 'best large airport’ and Southend ‘best smallest’ (616,000). Each terminal at Gatwick and Heathrow was considered a separate airport. Whether parents or grandparents, travelling with children can be hard work, as you tend to have to bring too much with you. It is not so bad when you are driving your own car but at airports and railway stations it can be difficult. 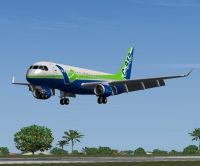 JetBlue Airways has announced a partnership with British Airways that will link the two networks at New York JFK, Boston Logan, Orlando and Washington airports. The carriers initially plan to interline on 18 daily transatlantic BA flights and more than 50 US JetBlue routes. 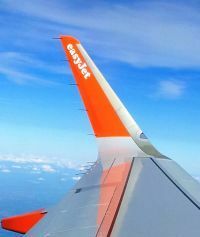 New seats and aerodynamic Sharklets are new features on easyJet’s latest Airbus A320 which has gone into service at Gatwick. Both will be obvious to sharp-eyed passengers. Twelve months on and one obvious effect of the 2012 London Olympics is clearly with us. Last year airports did not do so well due to scaremongering by irresponsible National newspapers with regards to the Olympics. Dire overcrowding and lack of aircraft seats was forecast. It just did not happen. Athletes, officials, spectators, media and hangers-on got in and out OK. Other travellers for the most part kept away. 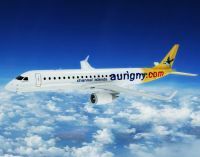 IAG plans to order 62 Airbus A320 series aircraft on behalf of its newly acquired Spanish airline Vueling, subject to shareholders agreement. The planes are to be delivered between 2015 and 2020 and will enable Vueling to continue expansion and replace some of its older fleet acquired during rapid growth in recent years. Jane Stanbury used her inaugural Finnair flight to Hanoi to travel south to Hue, an “interesting” 12-hour train journey and the Imperial capital of Vietnam from 1802 until 1945 under the Nguyen dynasty. Vietnam itself was colonised by France in the mid-19th century. 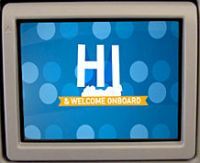 (See also BTN 15 July – Delights of Hanoi & 29 July – Flying at the Front End Finnair). 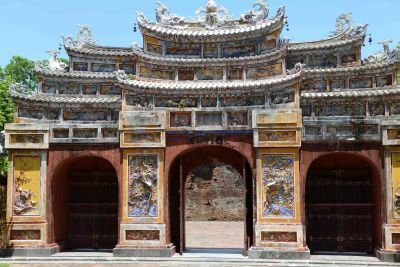 The Nguyen and the French left their mark on Hue. Today it is a 21st century city with a regal feel. Following the recent sad case of going to the wrong airport (See BTN 5 August) we have also heard of a family who missed their flight. The airline concerned were most helpful and agreed put them on a plane the next day subject to space. Having missed the departure the debate then was whether to return home or nightstop at a hotel. They had told their next door neighbour to keep an eye on the house. A nasty little spat between Airbus and Boeing has been concluded in favour of Boeing. 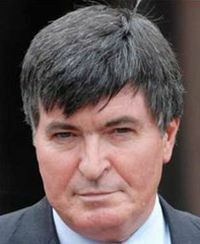 Brian Donohoe MP, Chairman All Party Parliamentary Group for Aviation (APPGA) has published today (Monday 19 August) its report into Air Passenger Duty and UK Aviation Policy. Mr Donohoe is specific about Northolt: “I welcome the comprehensive nature and quality of the submissions to the Davies Commission on airport capacity. Sir Howard and his Commission are to be congratulated on their progress. Perhaps they thought it was easy but, just like the Russians, the Chinese are finding that the ability to develop a commercial aircraft only comes after years of experience. Even the knowledgeable Airbus, Boeing and now Bombardier have found it impossible to meet target dates. bmi regional is to withdraw its East Midlands (EMA) to Frankfurt (FRA) service. Wizz Air is to add three new routes to its current portfolio at Luton Airport. 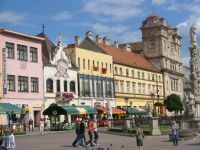 From this autumn, passengers will have direct access to Košice (Slovakia), Donetsk (Ukraine) and Craiova (Romania). 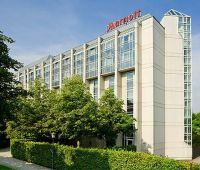 The Munich Marriott Hotel and Amsterdam Marriott Hotel will be the first hotels in Europe to offer “people-inspired” meeting spaces, a new concept, available late September. The Asia side of Istanbul is the latest site for Radisson Blu’s increasing expansion at Turkey’s largest city. The Radisson Blu Conference & Spa Hotel, Istanbul Tuzla is expected to open in the third quarter of 2013. Gatwick continues apace with new retail store openings, with the latest arrival jewellery boutique Swarovski partnering Harrods at the south London airport.